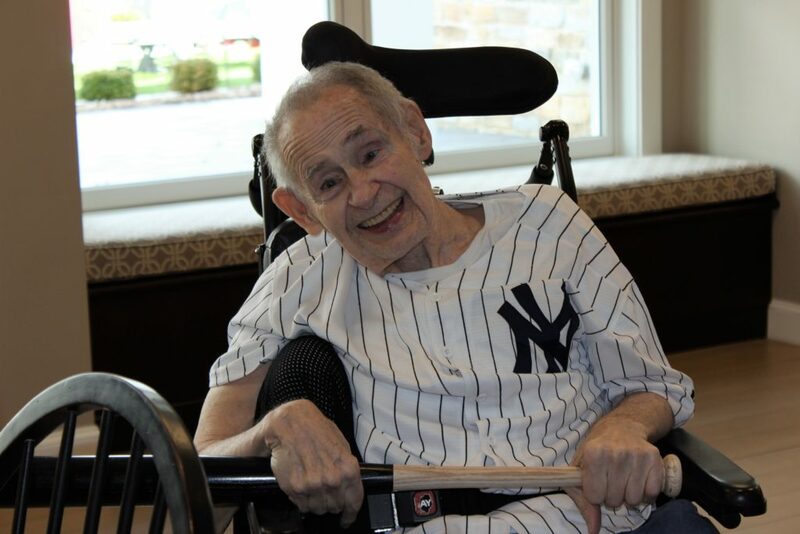 Regional Hospice and Palliative Care helped to make patient Tom Ackerson’s dying wish come true. 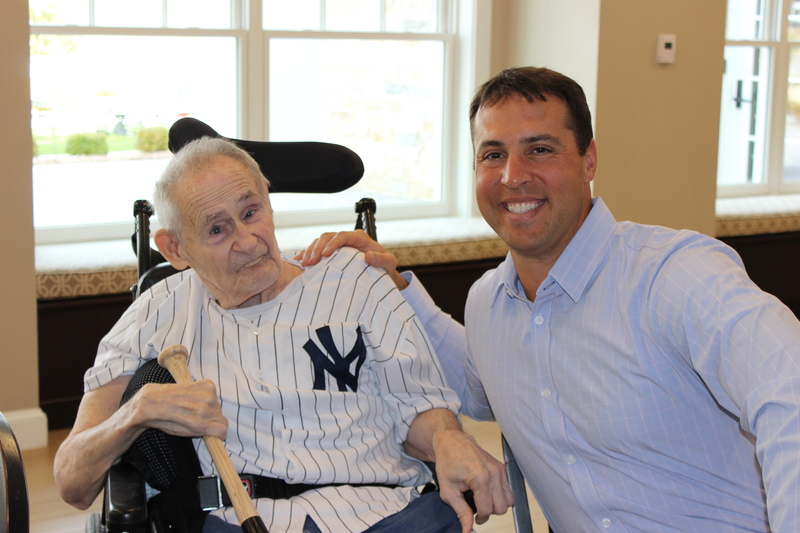 New York Yankees great Mark Teixeira made a special visit to Danbury to meet Tom, the Yankees’ #1 fan! 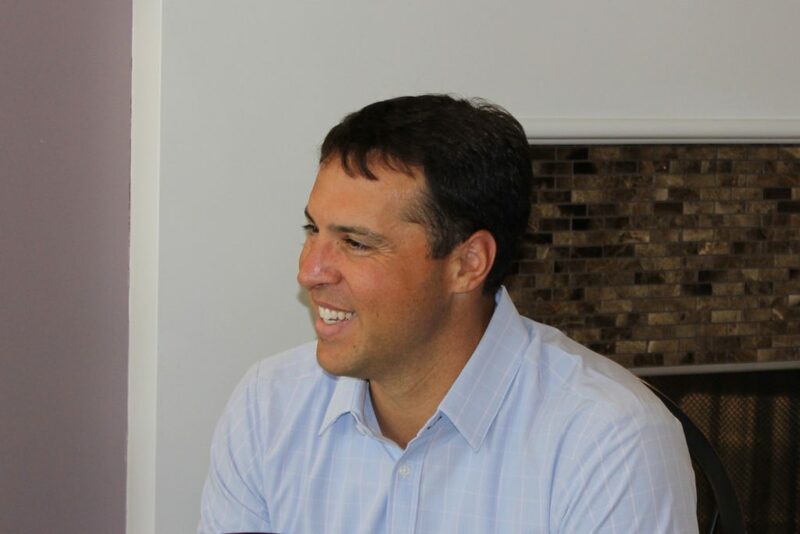 Mere days after Tom’s request went out to Regional Hospice supporters, word made its way to Yankee alum Mark Teixeira, who jumped at the chance to help. 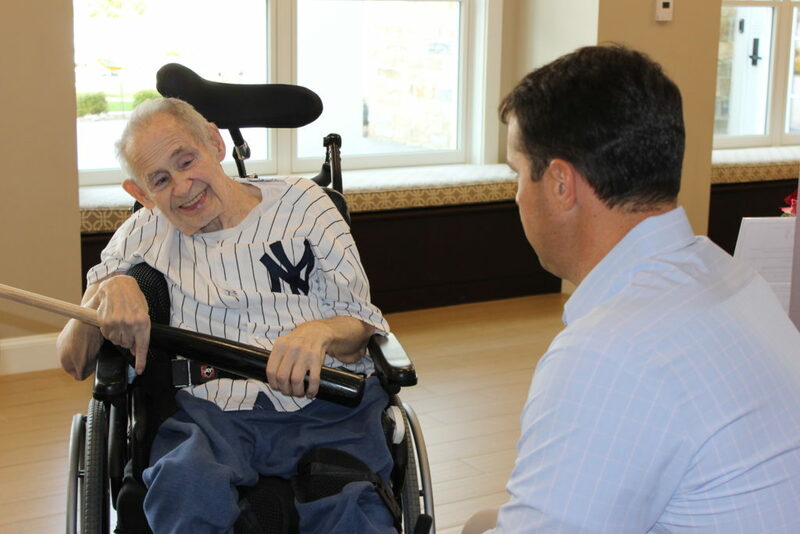 Upon meeting Tom, Mark presented him with a “Bobblehead” doll and a signed baseball bat. 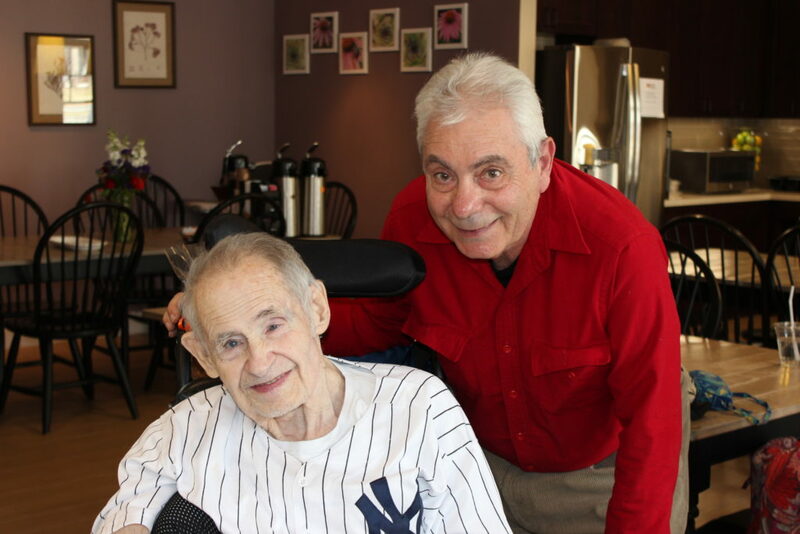 The two spent the afternoon talking about Yankees greats (including their mutual favorite: Mickey Mantle), Mark’s career (to which Tom wanted to know when he would be added to the Hall of Fame) and childhood stories of Tom hitting baseballs with his sister and attending Yankee games. 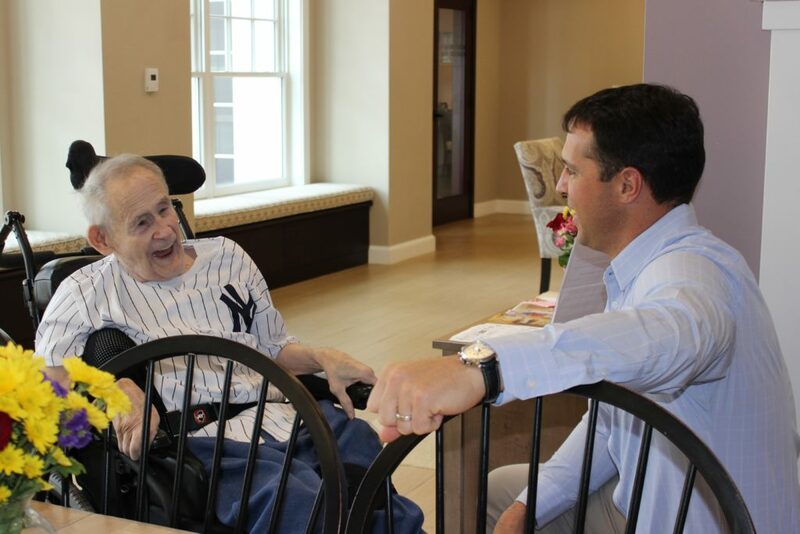 They agreed that the Yankees have what it takes to win the World Series again this year, even with so many injured players. 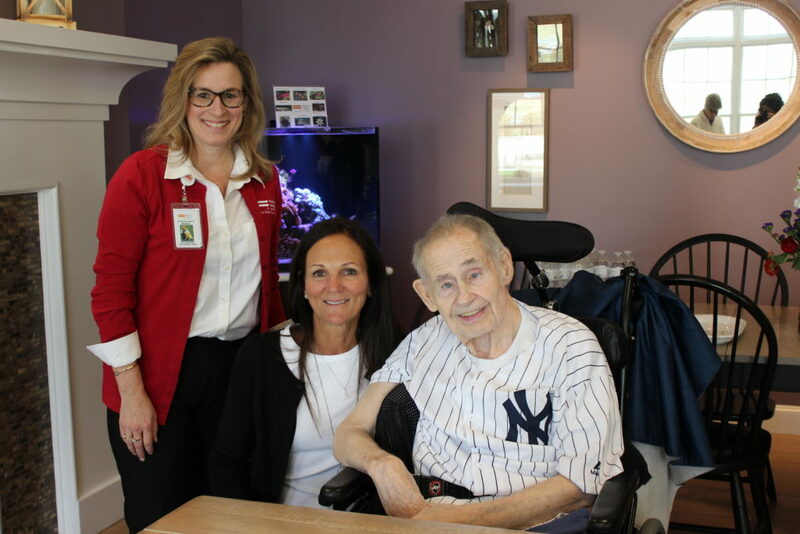 Surrounded by Tom’s hospice team, caregivers and friends, Mark commented on how important it is to have a great team to back you up, and Tom wholeheartedly agreed. 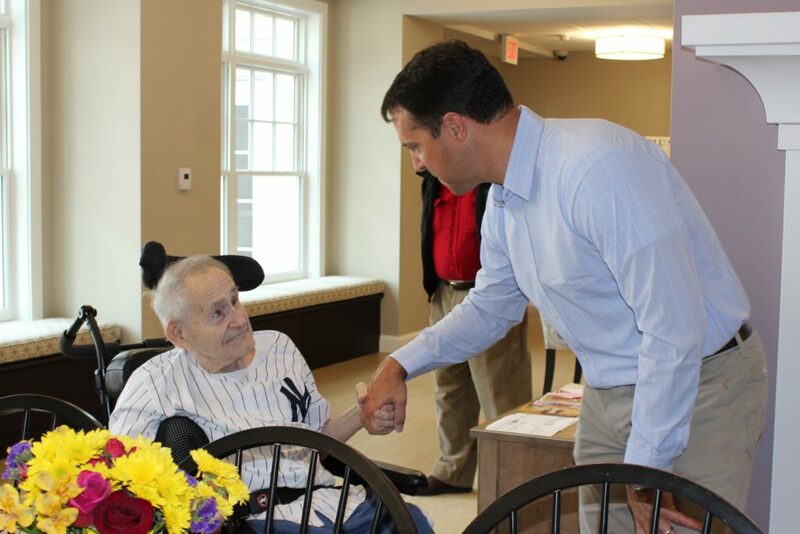 For Tom, this was a day to remember. 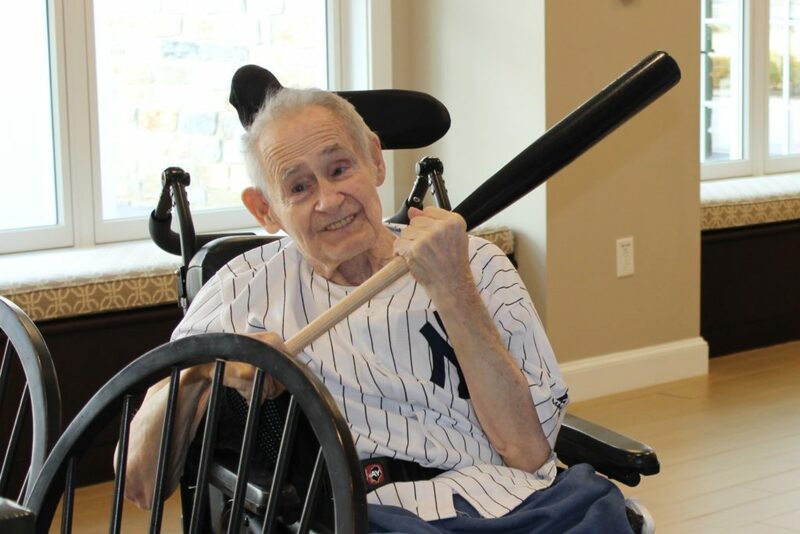 Equipped with his new baseball bat, Bobblehead doll and other Yankees memorabilia, Tom was thrilled that such a legend would take time out of his day to meet him. 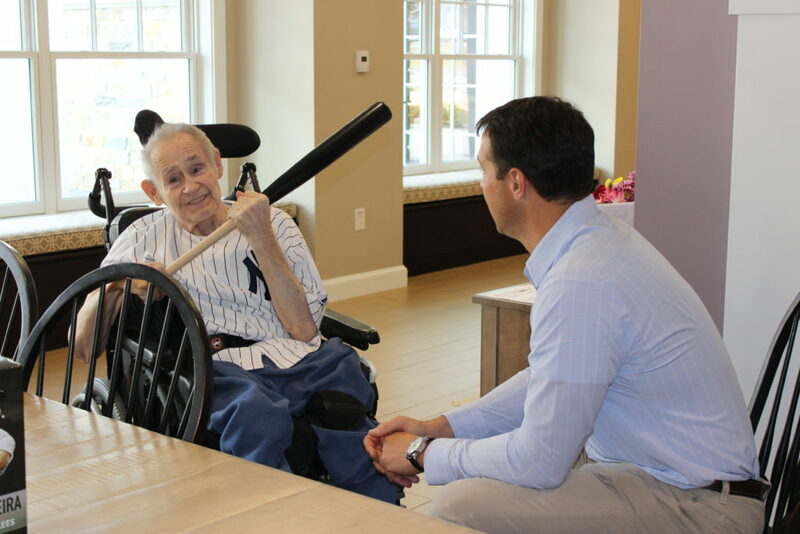 It was everything he could have hoped for – and more.